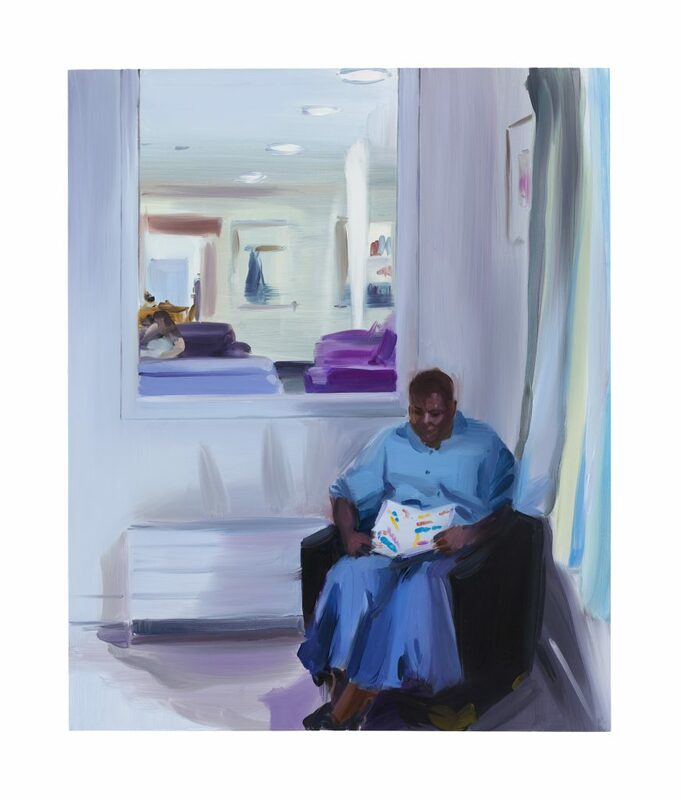 For each day of Refugee Week 2018, we will be sharing the stories of one of the five refugee and asylum-seeking women who were painted by the artist Caroline Walker in their accommodation for her latest series of paintings, ‘Home’, which was exhibited at Kettle’s Yard gallery in Cambridge. When Consilia invited us to visit for this project, she was staying in a hospital in East London. She is a survivor of domestic violence and was taken to the hospital after a particularly bad attack. She could not be discharged because she had nowhere safe to go. “When I’m in this place I feel depressed but there’s nothing I can do because I am homeless. I have been here for eight months. I have no choices, the hospital is the only place I can be. I’m still under the care of doctors and mental health specialists. Staying here makes me feel stressed. 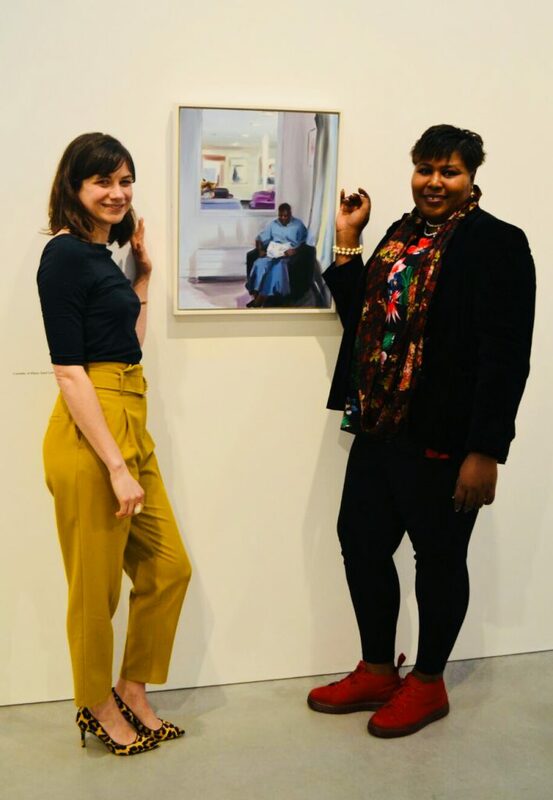 I am happy that Caroline’s painting will help to tell people the story of my life, and show them what I have been through. It is not easy, it’s a journey. I have come a long way. When I was refused asylum I became vulnerable to domestic violence. I had no right to any support or to work, so I was pushed into a place where I was not safe and had to stay with my ex-partner who was so violent. The asylum system puts women in dangerous situations. After he hurt me, the ambulance picked me up and took me to hospital. Now I’m trying to recover. The medicines have made me put on a lot of weight which I find really difficult. My strength comes from Women for Refugee Women, I come to their group every Monday. I’m with women in similar situations to me, who are also waiting for their refugee status. Being with them makes me feel much better, we talk and we help each other. It’s the only place that makes me happy. I would like to inspire the people who see these paintings. I’ve not given up, I’m still pushing, even when I’m going through traumatic episodes I am still managing to rise and to come to Women for Refugee Women’s group to socialise with people. I am not afraid of the stigma on mental health. I have experienced it but I have managed to gather myself and keep moving on. I always manage to put a smile on my face. In the future I’d like to be a public speaker, to motivate other women who have been through the same situation as me through their recovery. And to encourage them to rise and shine again, to never give up. In London there are a lot of people from different places and other people do not know what they are going through or what they encounter. 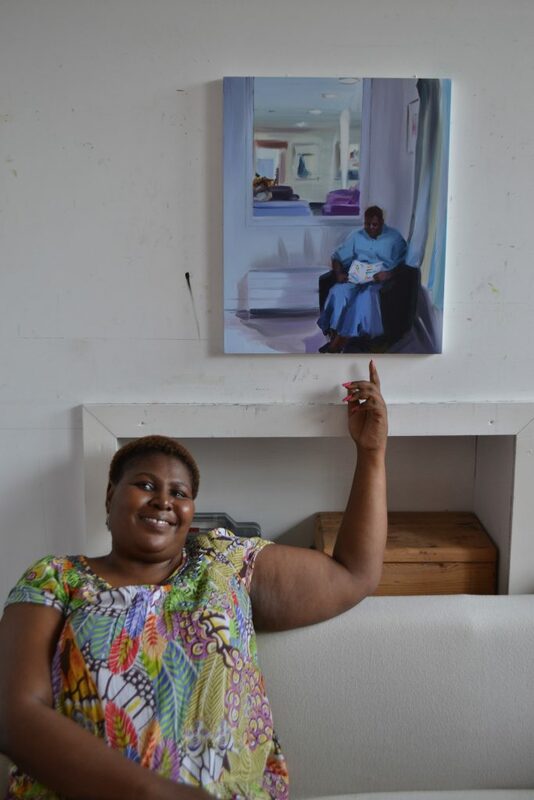 After spending months in the hospital, Consilia was provided with a flat of her own that she is now decorating and making homely! She continues to attend English lessons with us every week and is an active member of our network. 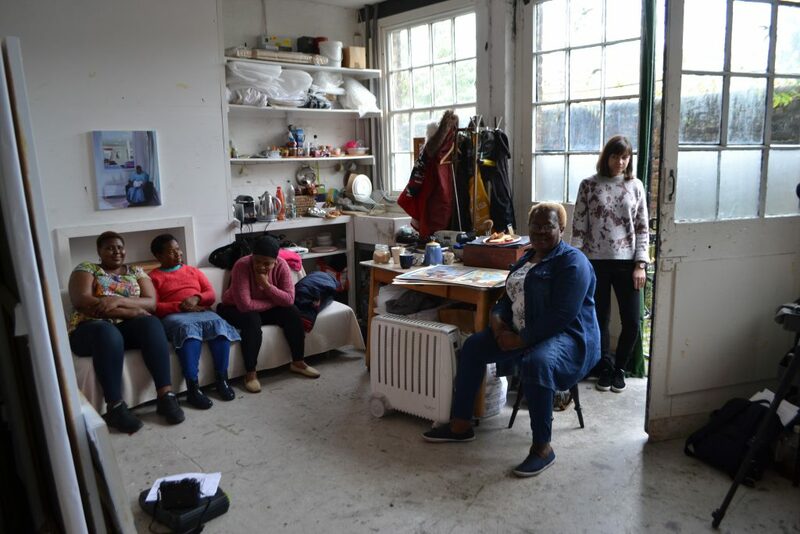 Every week over 100 refugee and asylum-seeking women join our activities in London, if you’d like to support our work with women like Consilia please donate here.